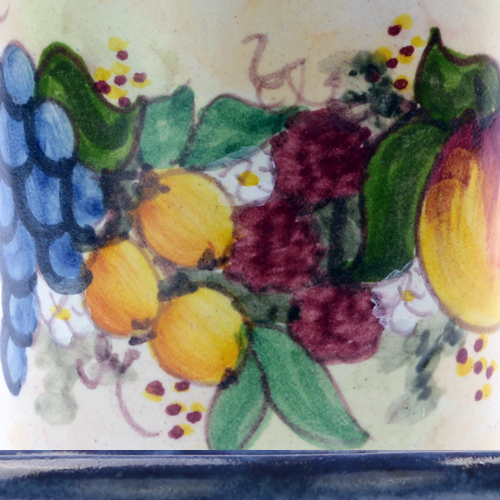 'Sailing Boats' is a single tile which has been hand painted by artisans deep in the countryside of southern Italy. 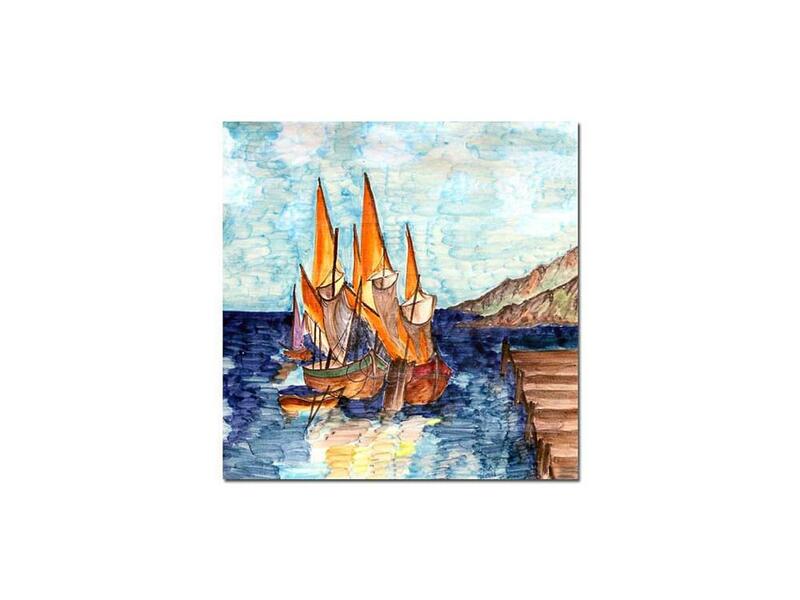 The painted tile depicts a small group of typical, local sailing boats in a southern Italian harbour. 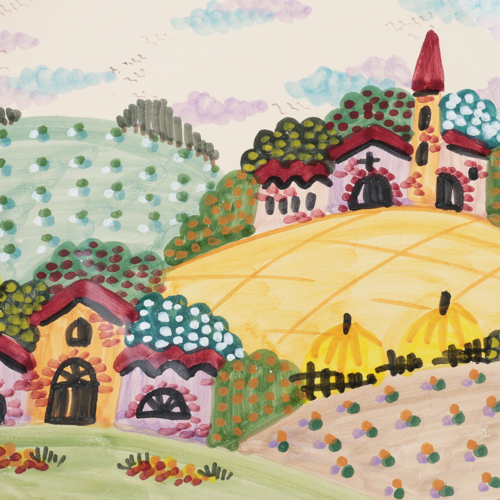 It is colourful, pretty and would look good as a framed picture or set into a group of tiles of complimentary colours. 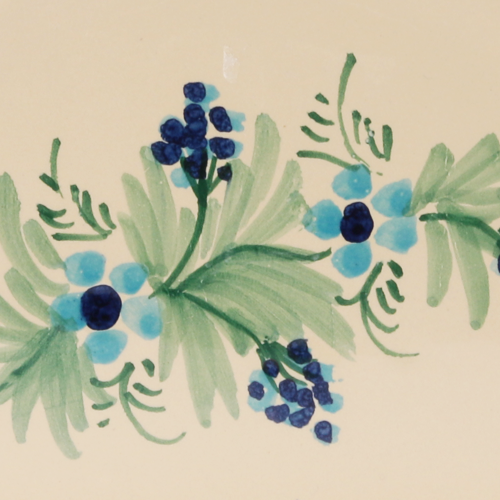 Unframed, the is suitable for any walls, either alone or as part of decorative panel, it is not suitable for floors. The tile can be mounted in any room of the house, including the kitchen or bathroom but is not suitable for outside use. These tiles are hand painted to order and will vary slightly making each one totally individual. One of these tiles will take a minimum of three weeks to complete, but during the time it is being painted, we will keep you informed of the progress and will let you know when it is on it's way to you.